The old quarry mounds make for a unique contrast to Hole 16. It goes slightly uphill, and a long tee shot aimed at the right bunkers will leave you with a good angle to the green. You’ll want to avoid the bunker and the fescue mounds on the left. 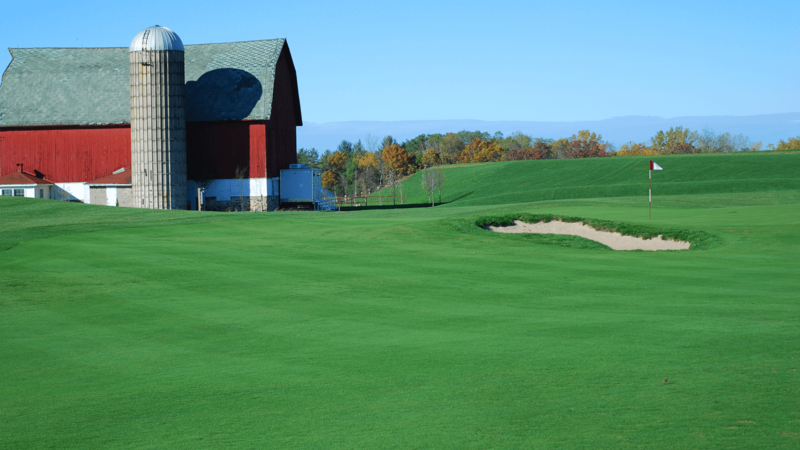 If you’re on the right side of the fairway, use the barn and silo to help you line up your next shot. A pot bunker dots the front of the green which is relatively flat.